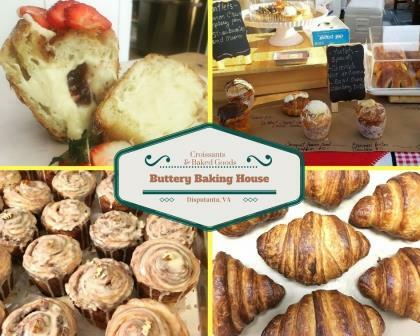 Buttery Baking House is a dream realized for baker Claudia Glazier. Born in El Salvador, Claudia comes from a hard working family of bakers. She learned the love of baking from her grandmother as she baked every afternoon for her and her siblings. Claudia began at the family business, working alongside great artisanal bakers who made everything from scratch, baking traditional Salvadoran baked goods. Artisanal baking requires time, skills, attention and dedication plus love as a main ingredient. Claudia cannot wait for you to try all of the things she bakes from scratch just for you!